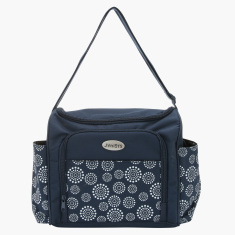 Juniors Printed Diaper Bag with Zip Closure | Multicolour | big interior with organizer pocket. 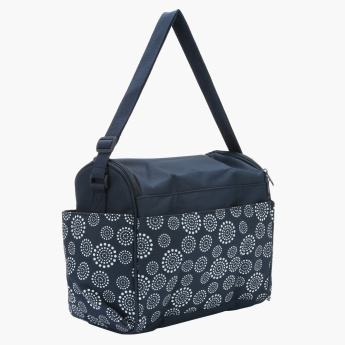 Pack your child's essentials in this diaper bag while you are travelling. It highlights a spacious interior with organiser pocket, bottle holder, diaper pocket and wipes pocket along with a changing mat. 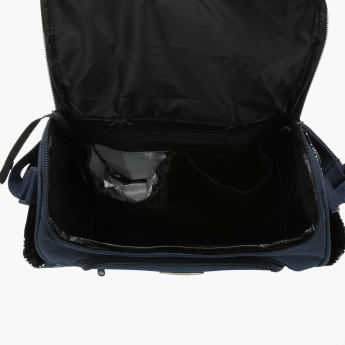 The featured adjustable shoulder straps will let you carry the bag with ease. Feature 1 : big interior with organizer pocket. Feature 2 : include changing mat ,bottle holder,diaper pocket& wipes pocket.